This morning Mrs Davies, Chair of Governors was delighted to present both Callum and Lexi with The Viking Children's Medal. Calllum and Lexi's dad is in the army and spends a lot of time away from home. Ha has recently come back from spending six months in Afghanistan. Whilst he was away it was agreed that all children would be presented with their own medal in recognition of their personal bravery in dealing with a parent away for such a long time. Their dad's regiment is nicknamed the Vikings so that is why the medal is called The Viking Children's Medal. 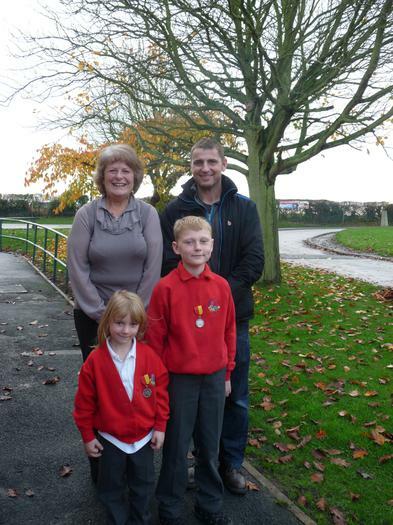 The whole school is extremely proud of Callum and Lexi, it was a privilege to be able to present them with their medal.